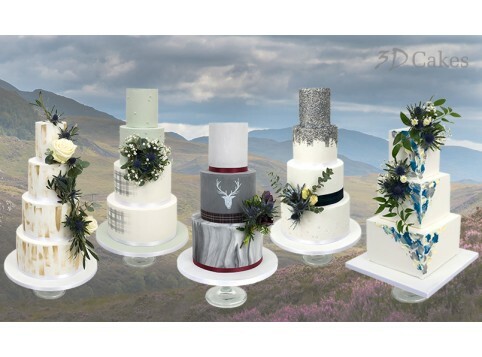 Thank you for purchasing our Scottish wedding cake offer. You can now redeem your wedding cake voucher below. Simply fill in all the required fields below to secure your perfect wedding cake. DELIVERY INFORMATION: We aim to deliver all voucher wedding cakes the day prior to your wedding between 8.30am - 6.30pm. In some circumstances, your cake may be delivered on the day. This will be prior to the 'Guest Arrival Time' entered on your form. We do not offer a set delivery day/time with voucher wedding cakes, as your cake will be delivered based on the route for your area. If your venue cannot accept delivery the day prior, please notify us, as we can deliver to a home address instead. How is my cake made? *Email: Want exclusive offers for 3D Cakes? Then join MyIdeals today! Simply add your email address here ...... and tick the box below to opt you in for FREE! I have read and accepted the privacy and cookies policy and would like to opt in to MyIdeals. If Delivery Chosen – Which Company Did You Purchase Your Voucher From? *What Time Do Your Guests Arrive At Your Venue? Any bookings submitted here without a valid 'Scottish' wedding cake voucher are automatically cancelled by the system. So please ensure you double check your voucher is valid for the 'Scottish'. Please note the maximum number of tiers available with this voucher is 6. If you've opted to add diamonte ribbon please detail which tiers thou want this on. Tier 1 being the top tier and so on. *Would you like your wedding cake to look taller? Your cake tiers currently measure 4" in height each. *Would you like us to add a shimmer spray to your cake? Cake Stand Hire or Purchase (Hire is £70 with £50 of this a fully refundable deposit when returned within 3 days of your wedding date). 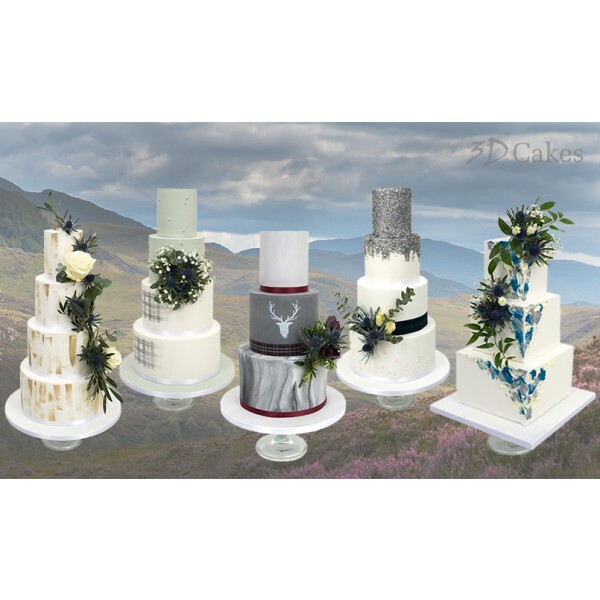 Thank you for purchasing our Scottish wedding cake promotion. You can now redeem your wedding cake voucher below.